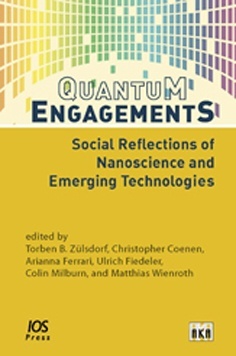 Today, nanoscience and emerging technologies weave ever more tightly into the social fabric. Scientific and technological innovations at the infinitesimal depths of matter now entail cultural, political, and philosophical ramifications of extraordi- nary scope, extending from the molecular scale to the global scale, from the physical entanglements of subatomic particles to the fiscal entanglements of transnational markets. The need to engage these technical developments and their social aspects with fine-grained precision becomes increasingly evident. political economy. Refracting the social complexities of our high-tech world, the es-says in this collection participate in the project of articulating new modes of technoscientific governance.